The Centre for the Study of African Economies has been researching economic and social development in Africa since 1986. These days, a large team of development economists research not only countries in Africa, but also in other developing areas of the world. 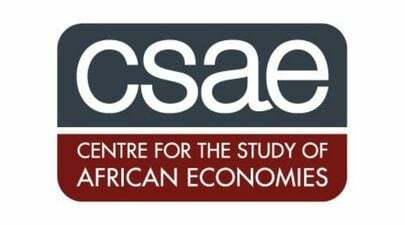 The CSAE is part of the Social Sciences Division at the University of Oxford, with researchers in the Department of Economics, the Blavatnik School of Government, and the Oxford Department for International Development. Do you want to be a CSAE Fellow in 2020? Applications are welcomed from citizens of all African countries, from people who are currently pursuing an academic career in economics. The fellowship supports a two month residency in Oxford, including flights, accommodation and a small stipend. The application window is now open! To apply, complete the application form in full and email this to [email protected]. The application form includes space for two referees, your CV and a research statement (400 words limit). The deadline for submissions will be 31 May 2019.